Increase the number of LEED® Accredited Professionals in an architectural/engineering firm so they could focus more heavily on sustainable design. Give away a SmartCar. 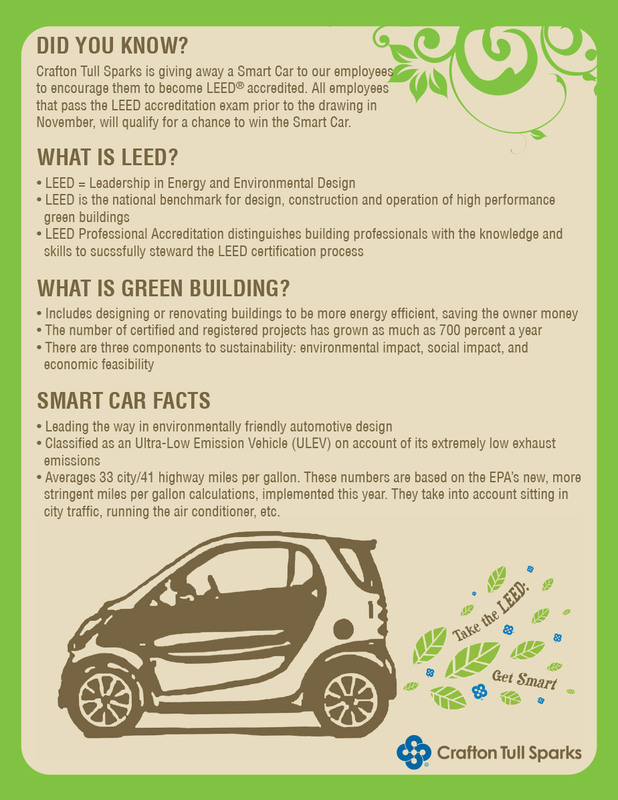 On Earth Day we announced that every employee who passed the LEED® exam would be eligible to win a SmartCar. A cornerstone of the campaign was to create a sense of fun, while educating the staff on “green building” and the role it would play in the firm’s future. The car was purchased immediately and driven to the eight office locations to show employees and generate publicity with the local media. The campaign raised the number of LEED® Accredited Professionals from eight to 44 within four months – a 450 percent increase. The “office tour” generated media coverage in every market.